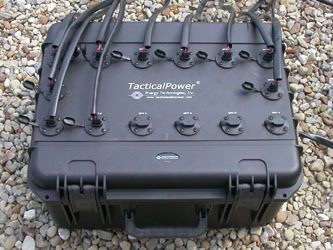 Includes external daisy-chainable battery modules rated for twelve hours of run time. 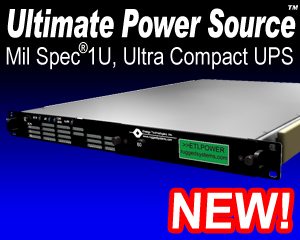 Provides power generation & storage capability. 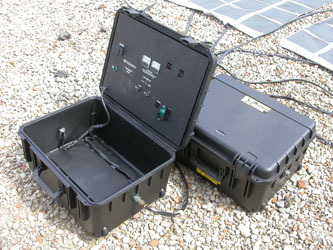 Utilize charge controller case for storing solar panels and input cables. Extra cases available for additional storage.